Hostile Vehicle Mitigation (or HVM) has a simple enough goal, it involves separating pedestrians from vehicles through the use of clearly defined and fit for purpose barriers. It is important that these barriers act both as a psychological deterrent to those with malicious intent while also physically preventing ingress by vehicles into pedestrian areas. The deployment of HVM often takes two forms. 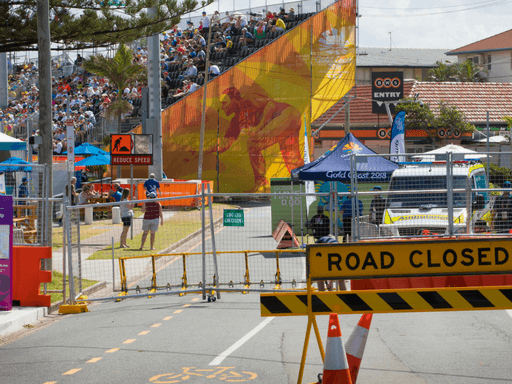 The first involves physically stopping a vehicle from coming into contact with pedestrians, through either a single or multi-layer deployment of HVM barriers, which effectively brings any encroaching vehicle to a stop. The second form of HVM involves slowing a vehicle to a speed where it can be easily avoided by pedestrians, and when/if the vehicle comes into contact with a person the injuries sustained are minor. This being said, stopping any encroaching vehicle before it can enter pedestrian zones is most preferred. However, depending on the natural or built environment for which HVM will be deployed, this goal can simply in some cases not be practical, and this is where the second form of HVM must be employed. HVM aims to not only to limit the consequence of terrorism but also reduce the effectiveness of using vehicles in other forms of crime, including ram raids, armed robberies and crimes transpiring from mental illness. Vehicle incursion into pedestrian spaces can also arise by accident, and can often be a result of a distracted driver, results of traffic collisions or mental lapses that are largely unavoidable. With the basic concept of HVM having being explored, it is important to remember that public spaces need to remain usable, and that any HVM controls that have been implemented do not impede the flow of pedestrian traffic or make the space feel unsafe or at risk of an attack. This said, while it is important to consider the overall aesthetics of the public space, it is also important to consider the limitations and consequences of the barriers and the form of HVM employed. The use of barriers that do not effectively mitigate the threat, or force pedestrians into crowded and confined areas, can in some circumstances lead to a rise in the likelihood of other forms of attacks and safety risks that have few planned controls. Those security practitioners seeking to implement or researching the field of HVM must remember that the nature of the terrorist threat is a fluid and constantly changing continuum, it is, therefore, important to ensure that any infrastructure or security plans employed continue to meet this dynamic threat. All too often, areas of mass gathering are only temporary or for a fixed period of time, so considering the costs of some more permanent HVM barriers is an important financial consideration. For more information about how to apply a hostile vehicle mitigation solution to your next public event get in touch. FOR MORE INFORMATION OR SALES AND HIRE ENQUIRIES, PLEASE CONTACT US.